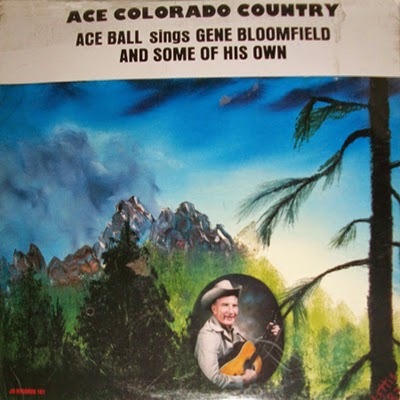 I first ran across the name Gene Bloomfield on the 1983 Ace Ball album, Ace Ball Sings Gene Bloomfield And Some Of His Own. You can read all about Ace's Pueblo years here. 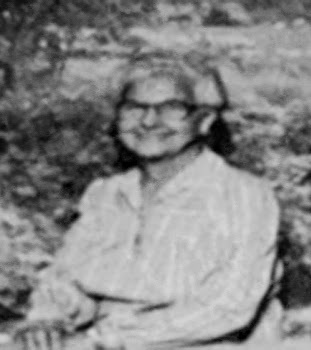 Not much is known about Imogene Eleanor Bloomfield. Found out she was born in 1914, and the 1940 census shows she lived in Illinois with her husband, Leo (who passed away in 1972). According to the U.S. Copyright Office, in 1949 she penned "Forever and a Day" with song-a-minute guy David Hall of Nordyke Publishing, the big song poem racket out of Los Angeles. Somewhere along the way the Bloomfields made it to Pueblo, where she continued to write songs, eventually partnering with Ball. 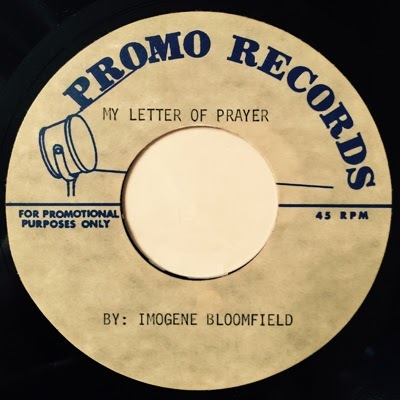 At the age of 71 she recorded what is believed to be her only solo record, the endearing "My Letter of Prayer." Found this demo via my buddy Joel Scherzer. Listen to a sample of "My Letter of Prayer"
She left this world in 1992 and is buried, next to Leo, at the Imperial Cemetery, off the Beulah Highway.